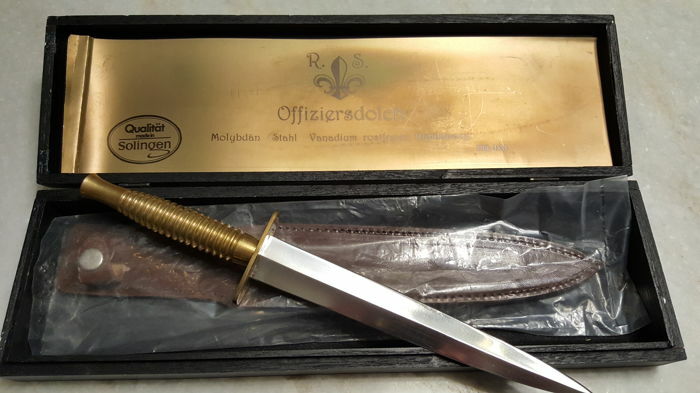 Offered: Officer’s dagger in excellent condition with leather sheath in a wooden box, unused. 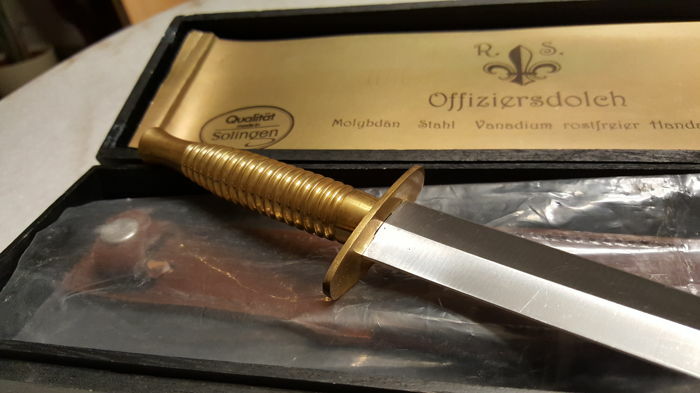 Beautiful dagger with brass handle, length 28 cm. 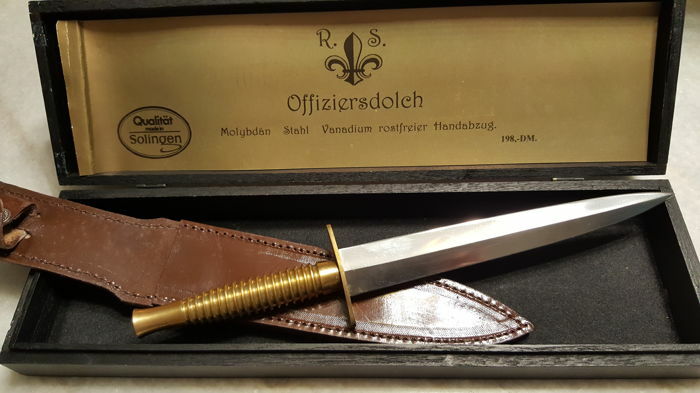 Blade length: 17.5 cm On the supplementary blade it says R&S meaning Richards and Scheffield from the 1970s (Solingen). 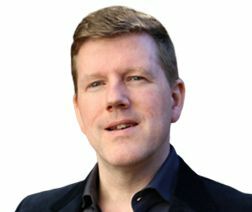 Problemlose Abholung ermöglicht. Der Sessel gefällt mir gut. Danke! 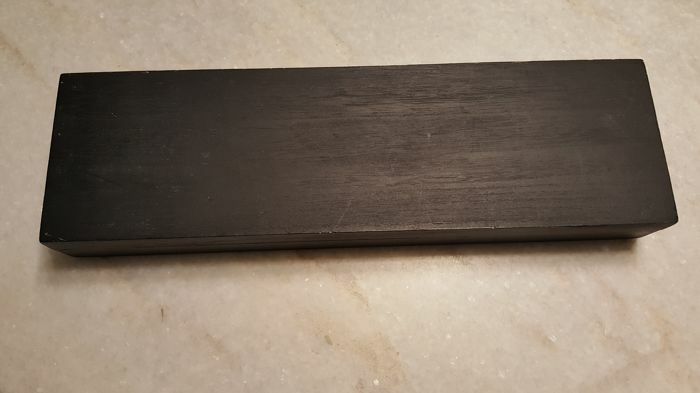 Spedizione veloce e accurata. Ottimi oggetti. Puedes recoger este lote en persona: Puheim (), Alemania.